🔥 INSTANT DELIVERY, 1-CLICK AUTOACTIVATION You get the game immediately after the payment. Here you do NOT need to wait for the seller’s response, provide access through the Team Viewer, or follow complex instructions - the activation is performed automatically. • You get only the right to play from one device, the account is not transferred to you in the property, changing the password is FORBIDDEN! • Multiplayer aviable *, automatic updates, as well as saving and achievements on your personal account. • When you reinstall Windows or replace a computer, you stop accessing the game. • Languages: English, Turkish, Spanish, Deutsch, Italian, Chinese, Korean, Polish, Portuguese, French, Japanese, Russian. The game does not have regional lockout. 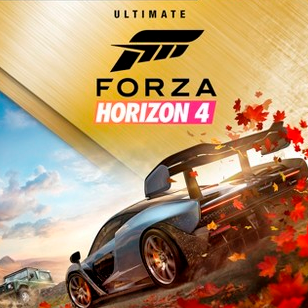 • With the purchase of the Ultimate Edition, you will receive a subscription for 42 cars that you will receive for six months, Formula Drift sets of cars and the First Day, and two additions as they exit, which will have a new gaming area, cars and modes. Also you will receive a VIP-status, which will give 3 exclusive cars, exclusive cosmetic items and the player´s house, double credits, additional bonus games every week and much more. ATTENTION! You do not receive ownership of this account. Password and other account data must NOT be changed. The account is provided only on one computer and it is forbidden to transfer account data to third parties. When replacing computer components access to the game is stopped. Your activity on the account will be tracked and if you try to violate the terms, you will be denied access to the game without a refund. Due to the technical peculiarities of the activator, it is possible that some antiviruses are mistakenly identified as malware. By purchasing a product, you express an unquestioning readiness to ensure the performance of the activator by disabling any conflicting software. If you are not satisfied with the conditions - do not purchase this product! Instruction: 1. Run the activator and enter ID, given to you in purchase. Microsoft Store will start automatically. 2. In Microsoft Store click “Sign in” (if your account is active, then first exit it) and select "Use a different account" from the list. Account activation process will start, wait for it to complete. After the activation is complete, download the game.